Three of the United Nation’s eight Millennium Development Goals pertain to health: to reduce child mortality rates (goal 4), to improve maternal health (goal 5) and to combat HIV/AIDS, malaria and other diseases (goal 6). It is clear that health care lies not only at the core of achieving global development but at the heart of everyday life. Whether on an individual level (doctors caring for their patients) or on a national level (health-care policies), it is crucial that practitioners know what the most cost-effective and up-to-date interventions are. 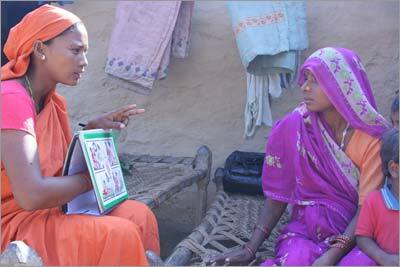 Research and technology have provided various ways to improve public health and health-care policy. One way in which health care has seen unprecedented growth is through the implementation of evidence-based health care (EBHC). Evidence-based health care is a method of providing health care by using the most current evidence that has been collected from previous research. Developed in the early 1990s, it has expanded greatly over the past 20 years. EBHC has been shown to be an efficient and much needed practice worldwide. This is especially the case for developing countries, where existing evidence and medical resources are less easily accessible than in developed countries. Step 1: Formulate your question. The key elements in formulating a question, or figuring out what it is you are planning to find out, is to define the population, the intervention, what to compare this intervention to, as well the outcome. This is known as the PICO format. Step 2: Search for the evidence. Fundamental to the concept is finding previous studies or research conducted, both those that have been published and those that remain unpublished. Step 3: Appraise the evidence. Using a set of criteria, evaluate the quality of the studies found during the search. The studies of he highest quality are included in a systematic review (a review is systematic in that there are specific inclusion, exclusion, and quality criteria used to judge each study). Step 4: Put the evidence into practice. Use the evidence to improve practice (e.g., through the development of guidelines and protocols that can be used in practice). Currently there are over 100 medical institutions in Europe that employ evidence-based health care. In contrast to this widespread practice, in Sub-Saharan Africa there are only three evidence-based medicine institutions: two are in South Africa and the other is their branch in Nigeria. Phase 1 took place in October 2012 when a workshop was organized to train librarians how to search for evidence-based literature. The librarians were also trained to co-facilitate future workshops on EBHC. Several librarians from the workshops in Phase 1 had the opportunity to put their teaching skills to practice in Phase 2 of CEBHA’s project, which comprised a series of workshops last month in Burundi and Tanzania. Dr. Frode Forland led the workshops along with Dr. Fergus Macbeth, Coordinating Editor of the Cochrane Lung Cancer review group and an oncologist based in Bristol, England; and librarians Joseph Lune Ngenzi from Rwanda and Richard Ssenono from Uganda. This year’s workshops focused on teaching medical doctors, nurses and other health-care workers the skills to be able to search for, retrieve and evaluate medical literature and existing evidence and implement it into clinical practice in order to improve public health in eight African countries. The two workshops in Burundi and Tanzania are described below. Organized by CEBHA with the National Public Health Institute and the University of Burundi Faculty of Medicine, the EBHC workshop was the first of its kind in Burundi. The 20 participants were health care workers and librarians. Despite French being one of Burundi’s official languages, the workshop attendees were committed to having the workshop in English and prepared to research and review medical literature written in English. In a written survey after the workshop, the participants reported that they found the skills to be very useful, particularly learning how to use databases such as HINARI, PubMed and MEDLINE. Although scientists in primary research countries such as the US and several across Europe use these databases with ease, for the health professionals who attended the workshop in Burundi, learning of these databases as well as how to search for literature optimally was new to them. In the survey evaluation, it also became apparent that the aspects that need the most improvement are mentorship and international collaboration in order to develop systematic reviews. The objectives of this first course in EBM in Burundi fully met my expectations. I have gained knowledge and skills that will help me to build research capacities and also to improve my approach and methodology to teach medical students. I found the workshop very useful, especially developing a PICO, critical appraisal and using different databases. However there is need for a mentoring process and more collaboration through the CEBHA network. I found the workshop very useful for me. The most interesting parts were about the concept of PICO in research, the use of different databases and about how to develop and evaluate guidelines. There should be more time for practical exercises and it would be helpful also to have more time on assessing and interpreting systematic reviews. CEBHA set up the workshop in Tanzania in collaboration with the Kilimanjaro Christian Medical Centre (KCMC). Librarians and health workers attended. The language was not a barrier, as all participants were able to speak English well. What did appear to be an issue, however, was the lack of access to computers for research on digital databases. 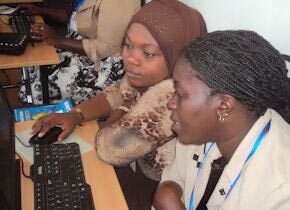 As a result, part of the workshop was held in an IT lab. Unfortunately, this lack of access and the absence of computers in the library creates an obstacle for any type of online searching, let alone evidence-based literature research for the librarians and health workers. 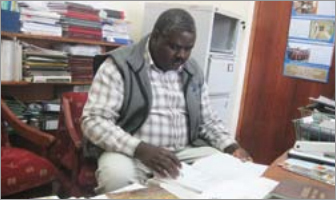 Through CEBHA’s project, health workers and librarians have been able to learn about the prominent method of research as well as practice in the field of medicine known as evidence-based healthcare or evidence-based medicine. In discussing the outcomes and way forward for health workers and librarians in Bujumbura, Burundi and Moshi, Tanzania, Dr. Forland maintains an optimistic outlook. For Burundi, as not only local health workers but also members of the Ministry of Health attended the workshop, there is the hope that having learned about EBHC might bring institutional change in healthcare underway. 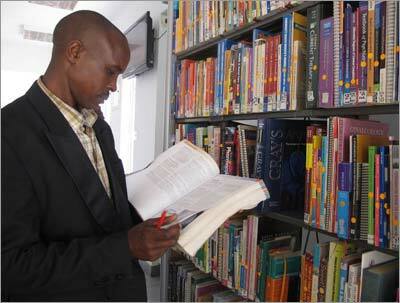 The Innovative Libraries program supports the efforts of libraries to enhance the quality of life in developing countries through infrastructure building, information literacy training and preservation of unique material. The 2013 grants will be announced in early December. For more information, contact Ylann Schemm (@ylannschemm), Senior Corporate Responsibility Manager at Elsevier. Tanya van Goch (@tvangoch) was a Communications Intern for Elsevier's Corporate Relations group. 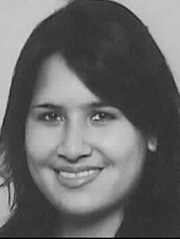 She has a bachelor's degree in liberal arts and sciences fromUniversity College Utrecht. She has just begun her master's degree studies in global criminology atUtrecht Universitywith an eye to combining her interests in forensic criminology and communications.